Turnabout, they say, is fair play. Anne Kihagi is getting a taste of this. 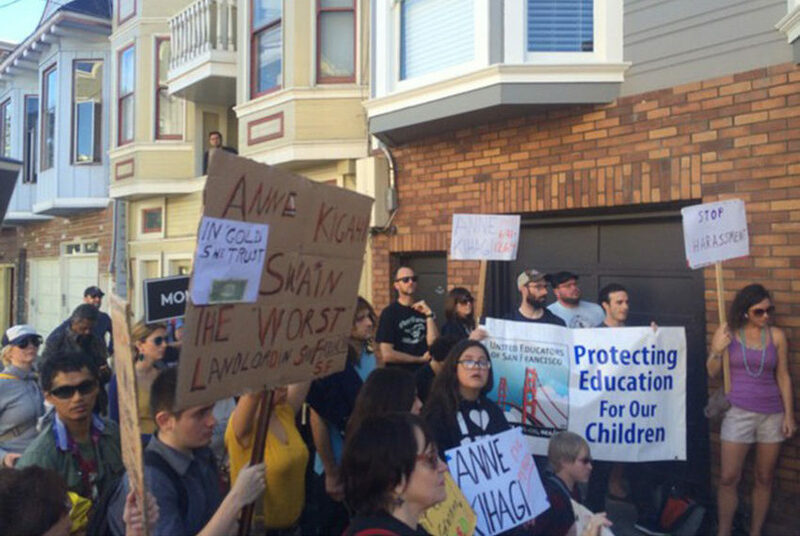 Kihagi, who beat out serious competition to earn a reputation as this city’s cruelest landlord, exhibited an impressive array of methods to harass and cajole long-term tenants out of her many San Francisco properties. Among the most devastating, however, was the deployment of her large family into properties to execute owner- and relative-move-in evictions — a number of which were determined to be unlawful. To wit, in 2015 Kihagi executed an owner-move-in at her property on 195 Eureka St. at 19th, dislodging longtime tenants Ray Schreiber and Jamie Austin so her sister, Julia Mwangi, could take the married couple’s unit. A judge later ruled this owner-move-in eviction to be fraudulent — for a plethora of reasons. Among them, Mwangi was discovered to be living in Fremont, not at the Eureka place where the tenants had been forced to leave. And, she even accepted a yearlong residency program in Portland during the timeframe when she was supposed to be residing on Eureka Street. Kihagi has subsequently suffered a series of setbacks in court — including the largest payout in state history regarding a single housing unit. A conga line of former tenants, including Schreiber and Austin, have filed suit. 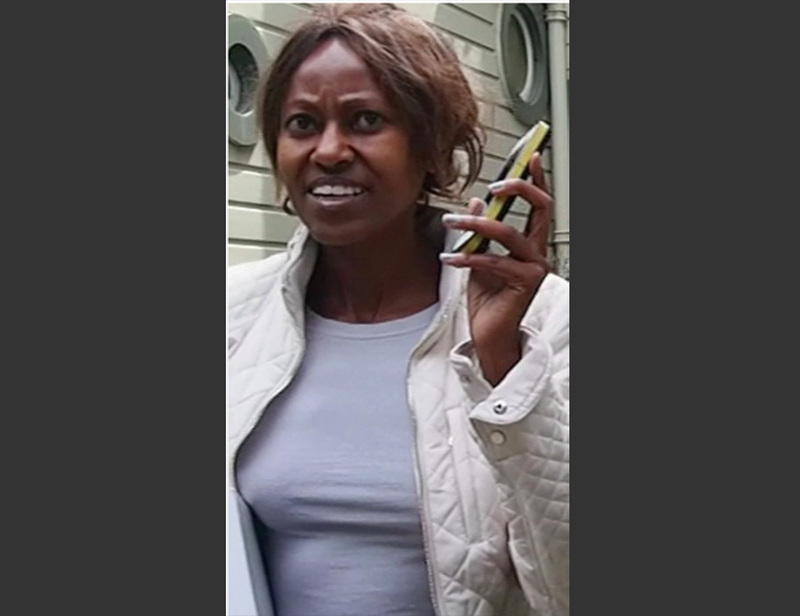 And now, Mission Local has learned, the court-appointed receiver overseeing three of her properties has attempted to dislodge Mwangi from 195 Eureka Street. “During our inspection, we discovered that Julie (sic) Mwangi … was occupying unit 4,” receiver Kevin Singer wrote in his June report to Superior Court Judge Lynn O’Malley-Taylor. Evidently, she has belatedly moved in. Singer subsequently wrote to Kihagi requesting a copy of the lease. An answer was not immediately forthcoming and, Mission Local has learned, he subsequently hit Mwangi with a three-day eviction notice. It was, obviously, not honored. Last week, Kihagi belatedly answered Singer’s many missives, purportedly claiming Mwangi is not a tenant but an owner of the property, and thereby cannot be charged rent. And yet, land-use experts tell Mission Local, this maneuver may well have played into Singer’s hands. In plain English, Singer is arguably empowered to eject the ownership from this property, and Mwangi has apparently just copped to being an owner. Should Singer move ahead with a motion for ejectment, a judge could, somewhat karmically, order Kihagi’s family out of the building they unlawfully pushed longtime tenants Schreiber and Austin out of. PreviousSnap: Where are you going? Not that it could have happened to a more deserving person’s family, but, Wow! More evidence that renters have more rights than owners. Kihagi needs to get better attorneys and take this all the way up to SCOTUS. She can win, just keep going to court! Kihavi looks to be a greedy jerk and gives all the many non-jerk landlords a bad name. Good riddence to the sister! Criminals like this need to be locked up. Kihagi thinks she’s still in Kenya where laws don’t apply to wealthy people like her and her family – clearly a sociopath. Kudos to the SF City Attorney for their hard work & patience in seeking justice for SF renters here. Hard to believe two commenters actually mentioned tenants having more rights than landlords! This instance of Justice being done after a fake omi is very rare. There was a study done last year that shows San Francisco had never prosecuted a landlord for a fake Omi. I was a victim of such tactics in 1998 and was unable to get any action taken against my landlord despite the fact he had listed the property on the MLS as vacant. Honest and good hearted San Franciscans need to be aware that our so called rental protections are useless without expensive legal help. That’s why all the poor people are already gone, folks. If you go to the Superior Court website and do a name-search query for “Kihagi,” you will find plenty.